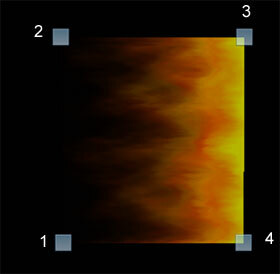 This brush allows you to draw realistic animated flames on any part of the scene. The effect looks cool by itself, but you can achieve even better results using it in combination with the Blinking Light Brush. The tab contains controls for the effect appearance and animation. 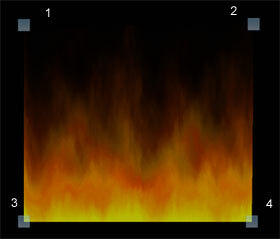 This tab gives you control over a bounding square of fire animation. 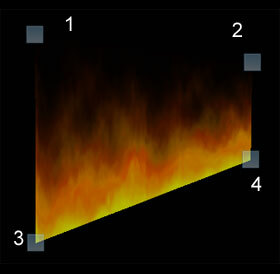 By changing the position of the square�s vertices, you can turn the fire direction or add a 3D look to the fire wall.